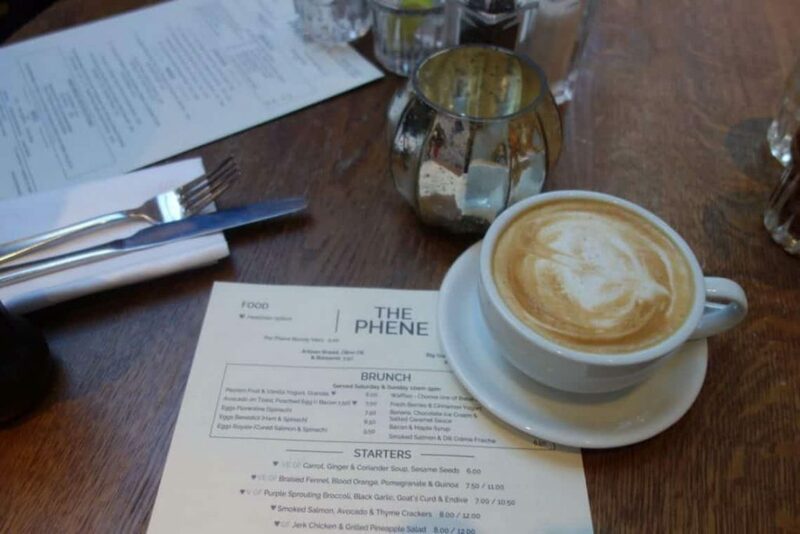 Okay yes I am a bit bias because it’s my Dads pub, but I love The Phene and go at least once a week! They have recently redesigned their menu, to make it a bit healthier and not so ‘pub grub’ food style. My friend and myself went for a late (hungover) Saturday lunch. When I’m hungover I find it SO hard to eat healthily, but their healthy options are actually so appealing that it wasn’t (that) much of a struggle to not choose the truffle mac and cheese. We both had the Smoked salmon, avocado and thyme crackers to start, which was so yummy. The avocado puree had a nice lemon juice kick to it. Light and delicious and not too filling so we had plenty of room for our main course. For our main course we both had the falafel kebab. Do you girls find you always end up choosing the same meals as your friends? Solves the food envy problem! The falafel kebab was absolutely huge, appetising and definitely Instagram worthy! Falafel is a great source of fibre and protein and something I eat a love, being a vegetarian. I loved the pomegranate in the dish, making it slightly sweeter and the chilli sauce gave it a nice little kick. Definitely getting this one again!